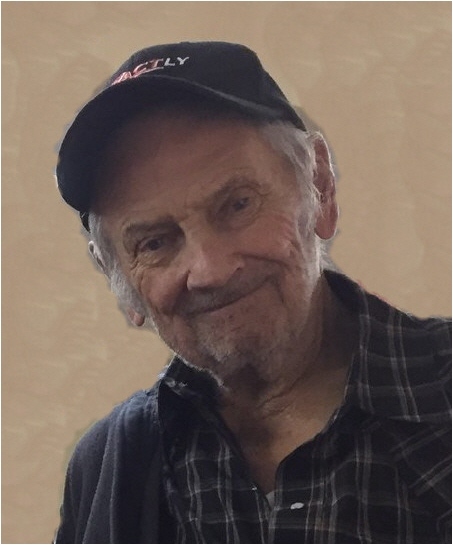 Mr. Francis LaRue Smith, better known as “Hissel” Smith, 84, husband of Virginia “Jenny” Smith, passed away Tuesday, May 1, 2018 at his home in Bethel. He was born on January 3, 1934 in Bath County, Kentucky, a son of the late Noah and Estella Corbin Smith. Hissel was a lifelong resident of Bath County and an active farmer for his entire life. He had managed and worked his family farms for many years. He was a member of the Bath County Cattlemen’s Association, the Farm Bureau, the Bethel Breakfast Club and the Mt. Pleasant Church. Hissel enjoyed farming, animals, Westerns, sports, especially basketball and spending time with his grandchildren. Hissel was a graduate of Bethel High School, where he had played basketball. In addition to his parents, he was preceded in death by his brother, Theodore Richard Smith, his two sisters, Mary Burton and Dorotha Oatts and his beloved son-in-law, Wayne Watson. Survivors include his wife, Virginia Reid Smith, whom he married on January 1, 1960, Jacky Smith Watson, Barry Smith, his grandson, Aaron Jacob Watson and his wife, Samantha, his great-granddaughter, Ava Watson and several nieces and many loyal friends. Funeral services will be conducted at 1:00 P.M. Friday, May 4, 2018 in the chapel of the Michael R. Gray Funeral Home in Owingsville with Rev. Roy Stacy and Rev. James Laiben officiating. Burial will follow in the Longview Cemetery at Bethel. Pallbearers will be Arnie McFarland, Billy Hunt, Paul Marshall, Jr., Bud Becraft, Mike Colliver, Hershell Thornsburg, Mike Razor, Donald Dailey and Fuzzy Hunt. Honorary pallbearers will be Funny Hawkins, Buck Smith, Jim Bowling, Shirley Grimes, Lawrence Jones, Jerry Myers, Jeff Emmons, John Vice, Blackie Harmon and Junior Bradley. The family request no flowers and would prefer that contributions be made to the Hissel Smith Scholarship Fund, C/O The Citizens Bank or the Bethel Methodist Church.